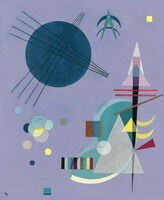 In the early 1920s, after Kandinsky’s return from Russia to Germany, his works got a characteristic geometricity, more space started to appear on the canvas, and the spontaneity gave way to the order. 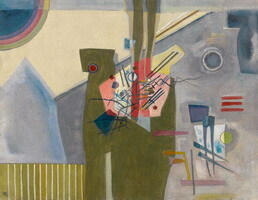 Fascinated by the educational process and the theoretical work in Bauhaus, the painter continued his research on the interaction and the influence of the main elements of the canvas, the colours and forms. 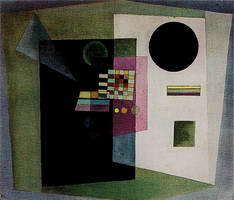 The painter brought to life his own theoretical studies in his “Several Circles”. 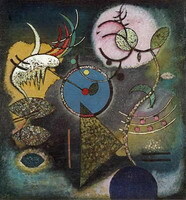 Deliberately limited himself only with one form, the circle, Kandinsky focused all his attention on other aspects such as colours and masses and their relative position on the canvas which determine the composition. 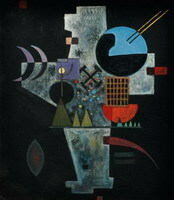 In addition, “Several Circles” unlike many of Kandinsky’s abstract works have no any objective connotations. It is a pure abstraction. Super man: It’s circles how is it amazing? Rachel: Is it possible to find out how much this painting has sold for..? I love the top 50 most expensive paintings but would like to know this information for more of the paintings. Person from Place: Yeah I'm doing a presentation for this too for my art class. indezyn from Chicago: One of his purest and best! Jacob from Over there. 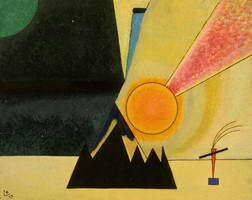 : I think this painting is awesome, and all the ways you can see it, solar system eclipse landscape. really inspirational if you take the time. Leeerooy from The Moon: The big one looks like an eye... The rest look like planets. vanne.pedagogiccenter from Planet Earth: I met this pcture when I watched \"six degrees oh Separation\" I\'ll never let. Liam from Australia: What inspired him for this? 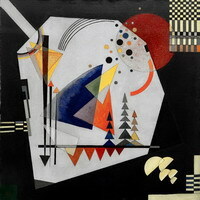 islipgeekgirl from Planet Earth: I LOVE this painting! 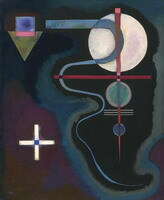 Kadinsky was a man before his time. What beauty from 1926! Camila from Argentina: No se que quiiso decir con esta pintura ! Alyssa: Amazing, kind of reminds me of the solar system! Lucy from Newcatle: This piece is very inspiring to me, i love the colours! robert from newcastle: this is wicked! lydia from england: i love this painting its so modern and simple the circle in the middle looks like a moon and it had light shinning around it which makes its look like an eclipse i adore this painting the simple beauty you can create with just circles is amazing. Joshua Garcia from california: santiago student form california here! ha i gotta do this for mrs loves class:p sick painting though. zan from spotx: i have to do this pic 4 a class thing and i think its awesome!!! grace: theres something about this that makes me all happy inside whenever i see it..